5 gallon container of Bare Ground's award winning all natural anti-snow/deicing liquid means you'll have to shovel less this winter! Bare Ground liquid is environmentally safe, bio-degradable, water soluble, non staining and non toxic to plants, pets and livestock. It's safe on all surfaces too! 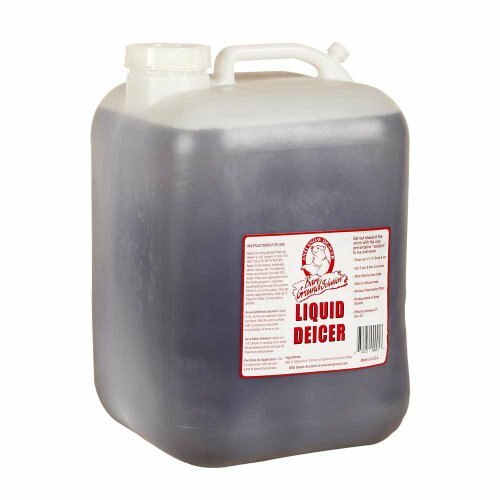 Available in one gallon bottles, five gallon containers and as a deluxe system that includes a sprayer applicator and one gallon of solution.